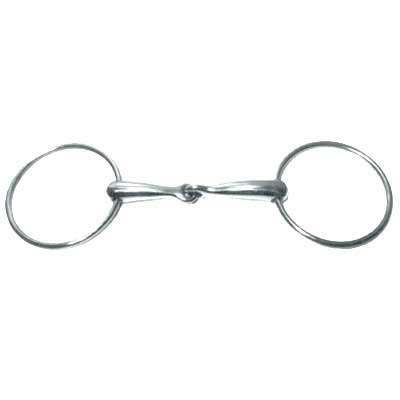 The loose rings usually serves to relax the jaw and create chewing of the bit, as rings slide through the mouth piece. The jointed bit creates a snapping action with the loose ring and the mouthpiece. 3 1/2'' rings.18mm mouth.